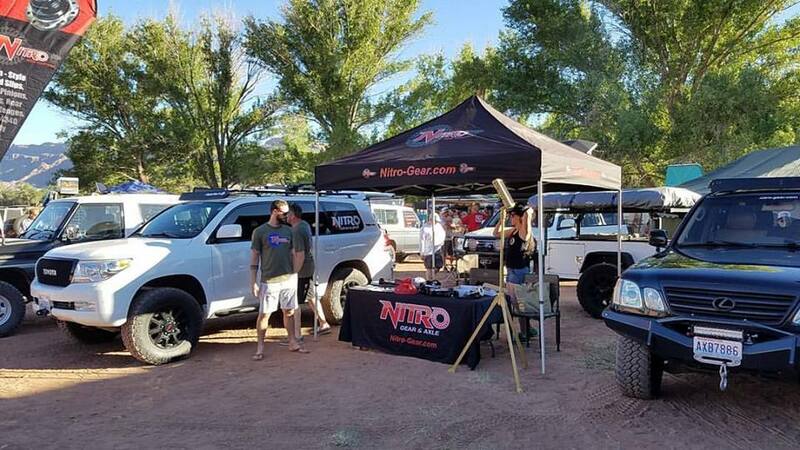 If you are headed to Cruise Moab next week come by and check out the NITRO Gear and Axle Booth, we are going to have our supercharged long travel 200 series on display! Vendor night is Thursday May 4th starting at 6:00 PM. Don't miss the big dinner and raffle on Friday May 5th at 6:00 PM. There will be plenty of NITRO prizes in there! We hope to see you on the trails! We will to keep this post updated with some pictures from the event throughout the week. Thanks to all who came by to see us at the Cruise Moab vendor night. Great to see all the friends old and new. There was lots of awesome Land Cruiser goodness!